When I was a third grader, I boldly stated that I wanted to be the first female president. I think what I really wanted was to be the first female anything. I learned quickly that the disadvantages of being a woman were many (and I didn’t even know about periods, the wage gap, the glass ceiling or work-life balance yet.) 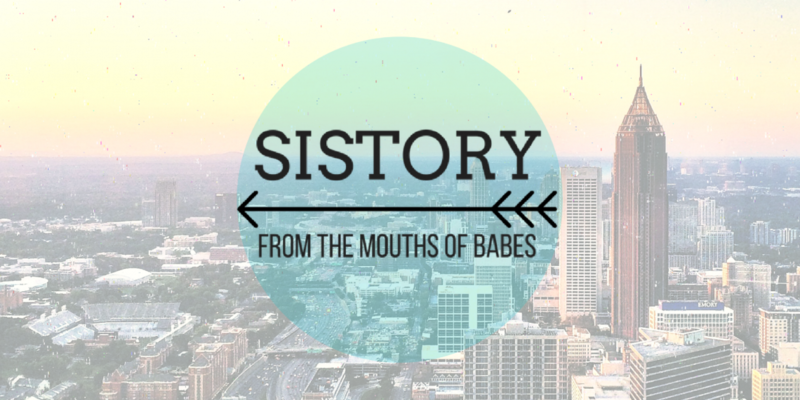 The one major opportunity for notoriety we have is being the first woman to do something. I’m scared of heights, and depths, and lengths and most other things. But I’m not scared of infinite power, so first female president it was. Until someone told me about Hillary Rodham Clinton. Even as far back as 2000, Hillary Rodham Clinton was inspiring millions of women and crushing my dreams. In 2008, there were signs that she might win and finally free me from the pressures of that bold third grade statement. (I ran one, ill-fated class president campaign with the slogan: Vote Eleanor K on Election Day. Many misread the lettering as “Vote Eleanork on Election Day.” I lost by an undetermined amount of votes.) Maybe people misread Hillary’s slogan too. She lost by a determined number of votes. Now in 2016, we again find ourselves on the precipice of history. And many other women who were the first to do things that men have been doing for generations are jumping on board, pledging their support. But her words sparked an outrage, mostly because you shouldn’t vote for a woman because she’s a woman. You should vote for a woman because she’s the candidate most likely to rain free birth control from the sky like leprechaun coins. And that’s not every woman. You don’t see Albright out there stumping for Carly Fiorina, do you? No, and now the Republicans are left with three dudes. Thanks A LOT, Grandma Maddy. In honor of the late Carly Fiorina campaign, here are five other women you didn’t know ran for president, likely because Madeleine Albright didn’t support them. Roseanne Barr: Remember Nick at Nite? Then you remember Roseanne Barr, the lead in Roseanne. In the show, she was a woman trying to have it all, I think. Not content to just have it all on TV, and looking for something to do once Nick at Nite ended, Barr ran for president in 2012. She ran as part of the Peace and Freedom Party (hoooboy), based out of California (oh, brother) with a running mate who once camped out at George W. Bush’s Texas ranch to protest the Iraq War (because her son died in that war. We’ll give you that one, RB.) Barr announced her candidacy on the Tonight Show, insisting, like all great potential world leaders have to, that she was, “completely serious.” She got sixth place overall in the general election. She beat out a former mayor of Salt Lake City. Which is a shame, because Mormons love soft family comedies. No longer, Roseanne! 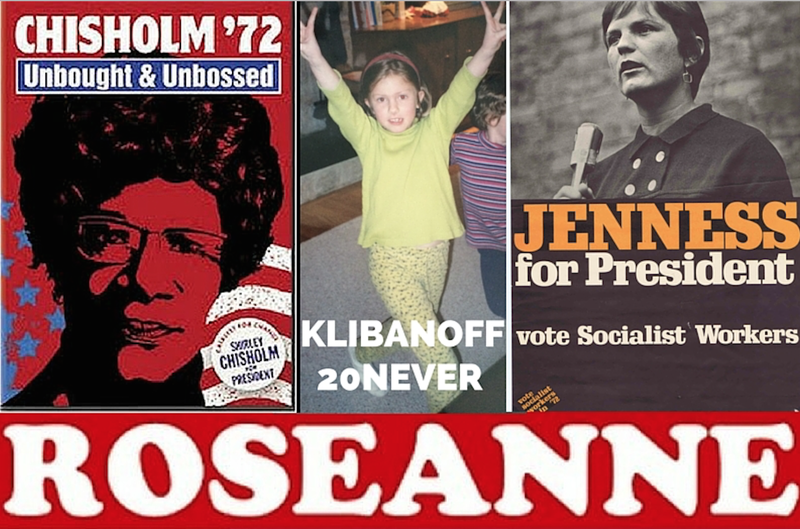 Roseanne screwed you out of that market with her political aspirations. Shirley Chisholm: In 1972, Shirley Chisholm one-upped my ambitions by becoming the first black woman to ever run for president. She ran for the Democratic nomination with the famous slogan, “Unbought and unbossed.” Which, let’s be honest, is SO boss and makes me want to buy whatever she’s selling. I am a #sheeple. Unfortunately, not everyone was as interested — she lost to George McGovern, who then lost to Richard Nixon. 1972 was a weird year for the Democrats. While Chisholm was running on a platform of empowerment and equality for disenfranchised voices, George Wallace, the ardent segregationist, was running on essentially the opposite platform — for the same party. Linda Jeness and Evelyn Reed: In that same 1972 election, the Socialist Workers Party put forward Linda Jeness, a former candidate for Governor of Georgia. She received about 83,000 votes, some of which were contested due to a voting machine error in Arizona. For comparison, Richard Nixon received over 47 million votes in that same election. So close. The fact that she won any votes at all is hugely impressive: Jeness was 31, not legally old enough to run for President. In states where she couldn’t sneak her way onto the ballot, Evelyn Reed ran in her stead. Reed won nearly 14,000 votes in three states, making her probably the only person Linda Jeness ever beat at anything.Let’s take a little Kid President break, in honor of Linda Jeness, who thought age requirements, like capitalism, were a total crock. Like Kid President says, “Don’t stop believing, unless your dream is stupid. Then get a new dream.” My dream of being the first female President was stupid. I like to sleep eight hours a night, minimum. I work best between the hours of 11am-12:30pm and sometimes, 2-4pm. I can’t be trusted with our nation’s future. But maybe, just maybe, some lady can. Whether it’s Hillary, or Jill Stein, or a finally of-age Linda Jeness, one day we’ll join the ranks of other, less developed nations and elect a woman. Or Larry David. Who knows. Future leaders of the Free World need at least 8 hours of sleep per night. Even Hillz would agree! 😉 Great article!! !